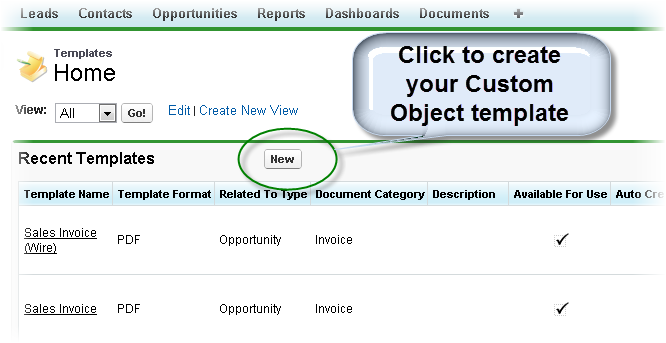 S-Docs works great with the custom objects and even the Force.com platform edition, which is entirely comprised of custom objects. S-Docs allows you to generate a variety of outputs that can merge Salesforce data from both standard and custom objects. Your documents can span many relationships to include data from formula fields, rich text, parent records, child, grandchild and related objects all within the same document. In addition, using the S-Docs template editor allows you to design the final output using an easy WYSIWYG editor. Finally, you can easily email your finished documents directly from salesforce and have the entire interaction captured seamlessly as an activity. Since every organization creates different custom objects to meet their unique requirements, you need to configure S-Docs to recognize which custom objects you want to leverage with S-Docs. For the purposes of this guide, we assume your custom object is named CustomObj and has an API name of ChangeToYourCustomObj__c. (Note: the API name has two underscores.) 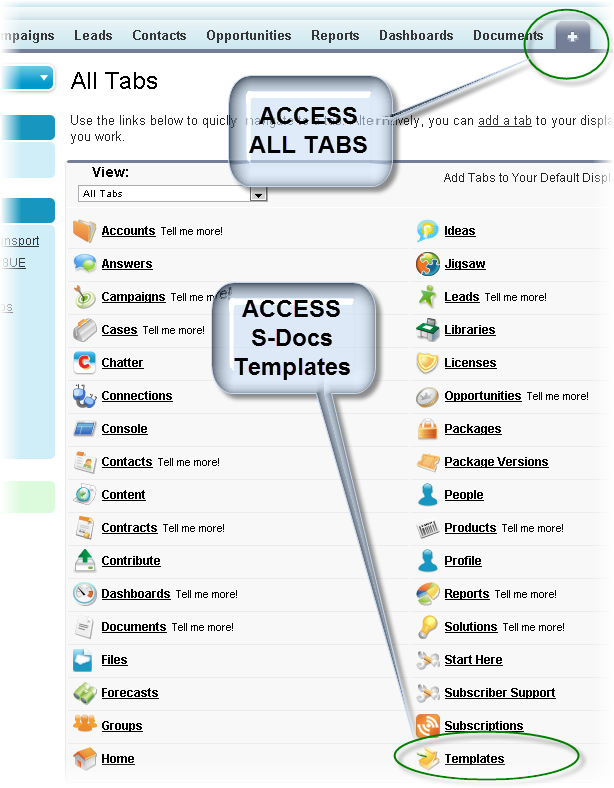 S-Docs can also integrate with other AppExchange apps (note: there are a few setup differences). This document will walk you through the step-by-step configuration process and includes many illustrations. It is intended for salesforce.com administrators who are familiar with standard configuration tasks. As a note, S-Docs does not use traditional templates (e.g. existing MS Word .dot or PDF files), but rather you design your template and define your merged fields all within Salesforce S-Docs Template records. Each time a user generates a document, the S-Docs engine merges the template record with your salesforce custom object record data and delivers the merged document all within the force.com platform. There is no need to have a shared network drive or an external document repository nor the need for connectors, macros or any downloads. You don’t need to log into any other system, share credentials or pass your data to any external servers. It is all self-contained on the force.com platform. Detailed instructions are provided below. Sample templates can be found here. Note: This guide details configuring S-Docs in Salesforce Classic. Although the setups are fairly similar, please reference this documentation for more information regarding S-Docs in Salesforce Lightning. Click on the "Related to Type" link ( found under "custom fields and relationships" section). Don't click on edit or replace links. Add your custom object’s API name (e.g. 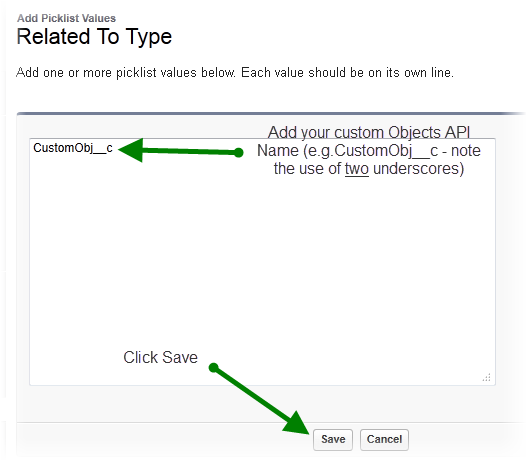 ChangeToYourCustomObj__c) as a picklist value, then click Save. *Note: if you are using S-Docs with another AppExchange managed package, then your custom object API name should include the domain name of the package followed by two underscores and then the object name (e.g. package__ChangeToYourCustomObj__c). You should use the entire API name for the S-Docs picklist value. 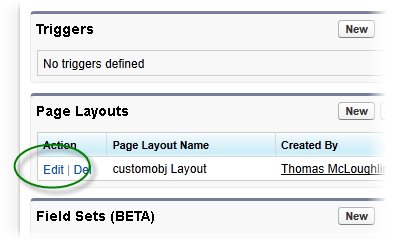 You should now be able to create a template and choose your custom object (e.g. ChangeToYourCustomObj__c) from the picklist in the "Related to type" field. Make sure that "Available for use" and "Initially Visible" checkboxes are checked. This step allows you to associate the S-Doc with the Custom object, so that users can see a related list of all S-Docs created on your Custom Objects page layout. *Note: If you are using S-Docs with another AppExchange managed package – your field name in step 3 above will need to accommodate for the double underscore in the field name, which is not allowed by Salesforce. Since your API name includes the domain name of the package followed by two underscores and then the object name (e.g. package__ChangeToYourCustomObj__c), you will need to replace the first double underscore with “_u_” and remove the remaining “__c”. In our example, your field name should be set to: package_u_CustomObj. 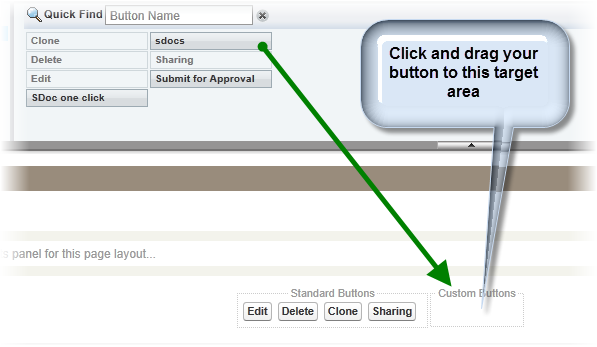 Just like using S-Docs with other objects, you need to place an S-Docs button on the record detail page layout. 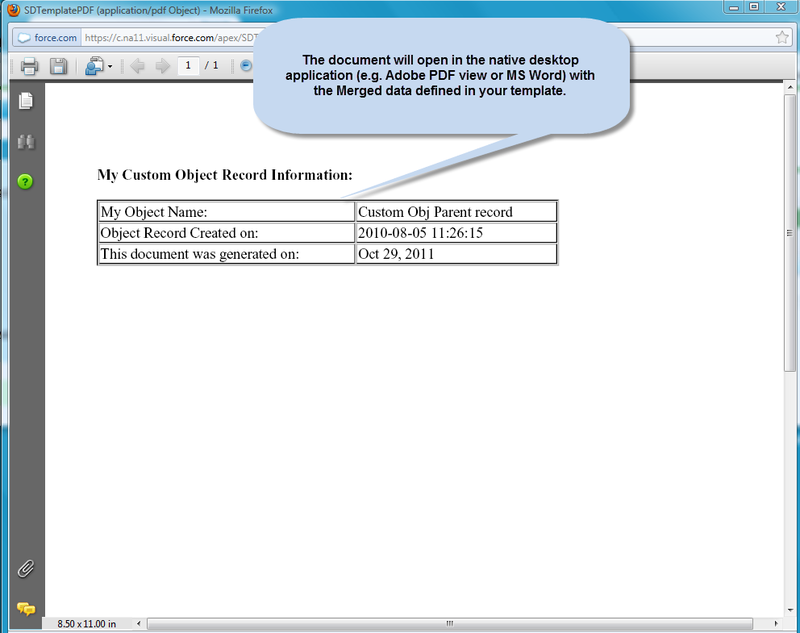 Users click the button to initiate creating a document from the record detail page. 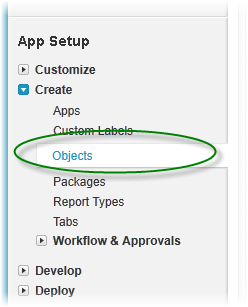 From the list of custom objects, click on your Custom Object link. Do not click on the “edit” link. 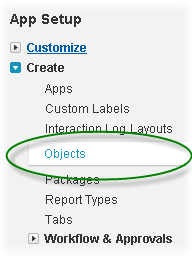 From the salesforce page layout screen, click "Buttons" located in the top left toolbar menu. Once clicked, the right panel will display available buttons, where you should see your new button. Click and begin dragging the S-Docs button you just created into the lower portion of the page (your custom objects Detail Page Layout). Once you drag the button over the Custom Buttons section, you will see a green checkbox (indicating ok to drop) and you can release the button. Be sure to click “Save” to apply the changes to the page layout and repeat steps 3-6 for any other layouts where you would like to add the button. If you have already created an S-Docs template for your custom object, you can now open one of your custom object records, click on the S-Docs button, and generate your document. 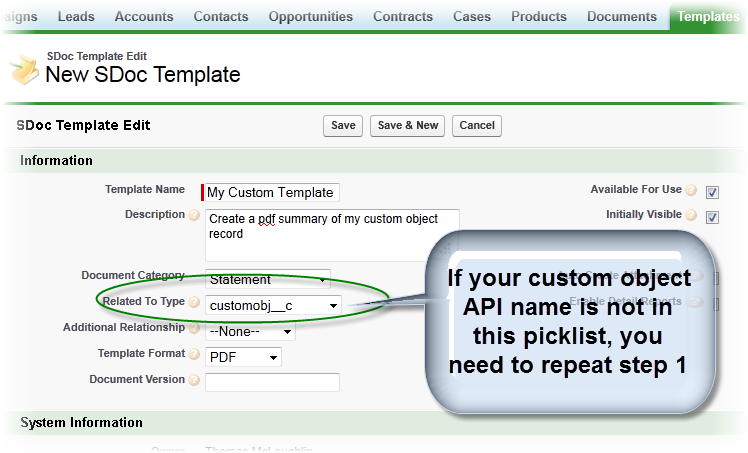 Otherwise, you will need to create at least one S-Docs template to begin using it with your custom Object. The next section describes this step. 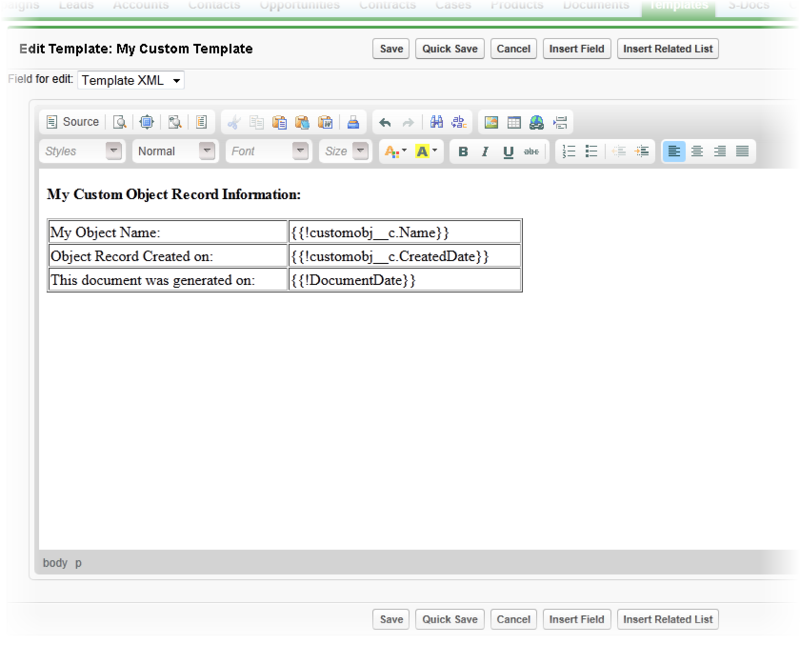 Create your Custom Object template record. Be sure to select your Custom Object name from the “related to type” picklist values. Before you can first use this template, you should confirm you have also checked “Available for Use” and “Initially Visible” checkboxes. Click Save, then click on “Template Editor” button. Once in the editor mode, you can design your quote template using the WYSIWYG editor. The editor allows you to add text, format styles, insert tables, insert images and merge salesforce data by using the “Insert Field” and “Insert Related List” buttons. You can also use leverage existing HTML templates by clicking on the “Source” button and then pasting your HTML. More information regarding template design and sample templates are available here. Once your template is saved, you can test it by opening a sample custom object record, clicking on the S-Docs button, selecting your new template, and then click on generate. Click on the document link or icon to open the document. Document will open on the desktop.